Which month do you want to travel in? How consistent does it need to be? The thickest wetsuit you want to wear? 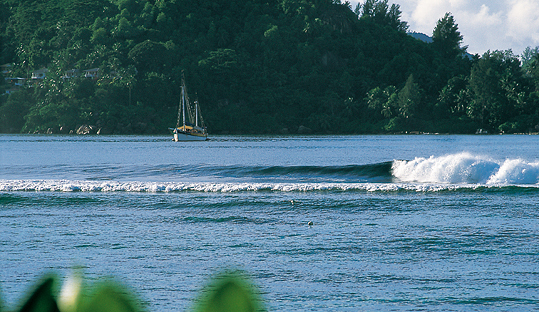 In the Seychelles, small, clean, relatively uncrowded surf does exist, but Mahé suffers from a long, shallow shelf and sits too far W for the normal groundswell angles in the Indian Ocean. It’s extremely inconsistent, relying on a major S swell to hit, or for consistent onshore winds to create surf on the few exposed beaches. However, it’s an island of outstanding natural beauty, granite rock and lush mountains, with narrow coastal strips of gorgeous white-sand beaches.